I used all my haloween descriptions last week, so this week just a short newsletter, welcoming new members and offering everyone some signposts to great salsa in London as Autumn hits. Do you know someone who deserves the joy of dance? If so, please point them in the direction of Londonsalsa.co.uk or UKDance.events or even the Global Dance Card app. 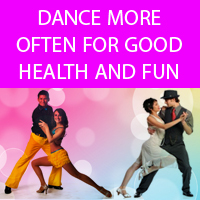 You may ask how do you know if someone deserves - the answer is that if they will be happier because they will relish the physical side, they would benefit from meeting new people or even flourish as a result of learning a new skill, then salsa could easily be a great answer. If you are already a dancer, then you already are in a position to make that judgement because you already know what it has brought to you. As in all weeks, please note that there are 100s of lessons, parties, band nights, courses and masterclasses on site, so if I haven't highlighted one that is perfect for you, please do pop back and search for yourself. Our selection for Friday includes the regular weekly party in Putney (free 1st timer lesson offer now on). 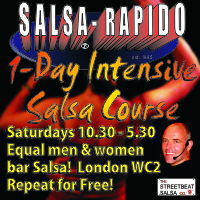 You could claim £5 off the beginners workshop at Bar Salsa in Charing Cross. 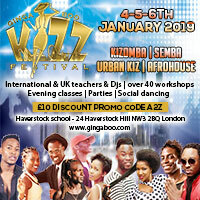 If kizomba or semba take your fancy, then the full day workshop and late night party in Chalk Farm, Camden comes with 10% off when mentioning London Salsa. In the centre of town, Salsa Fusion, on Great Portland Street, host their haloween party on Saturday. Salsa, bachata and kizomba ore on the menu this Saturday in Bourne End. An evening of Argentine Tango dancing can be found in Putney. The beginning of the month brings the start to many a monthly course. For beginners, Pexava start their 4-week beginners salsa course on Tuesday in Northfields. You can claim a first beginners lesson free in Hammersmith any Wednesday. 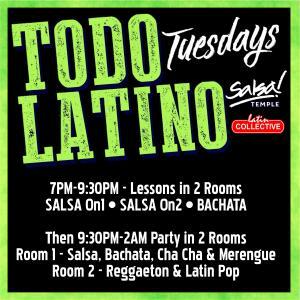 Caramelo's Thursday courses also start this week, also in Paddington but in this instance in salsa, bachata and ladies styling. Please note that this newsletter was written early this week, as I am out of action having an op, so there will be lots of other activites on site for you to discover. Leigh and the London Salsa team.